Asia OA is a special forum hosted by COAR in which members of the Asian open access community share information, meet each other and build relationships. The community is dedicated to people working in the academic environment based in the Asian region and it celebrates Asian cultural diversity and unique way of doing things. Each year, OA Asia organizes a meeting to bring people from the Asian region together and help build capacity in one country. This year, the Asia OA meeting took place in Kathmandu, Nepal. 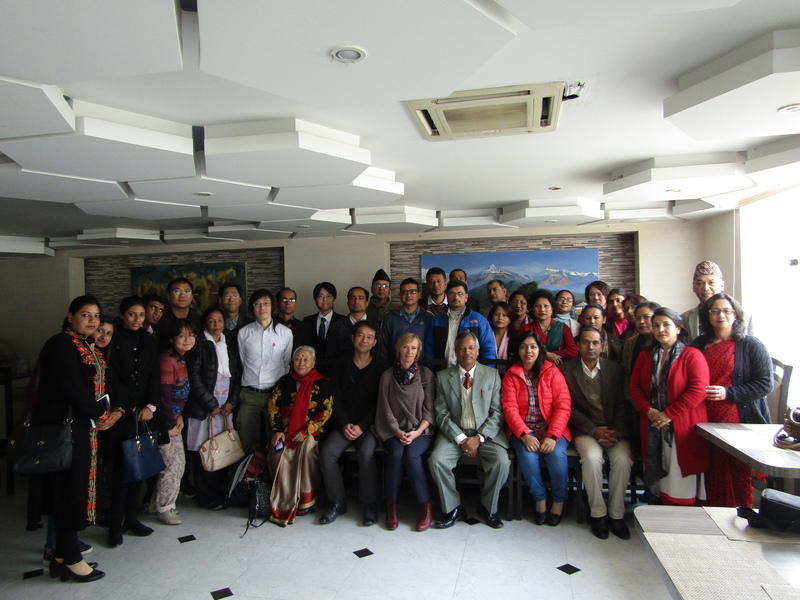 The meeting provided an opportunity to learn about global trends, share information across Asian countries, and help with local strategies for increasing the adoption of OA in Nepal. All the slides from the meeting are linked to the text below. The meeting began with an overview of the current trends of open access and open science by Miho Funamori from the National Institute of Informatics. The world is moving beyond open access to articles to recognize that access to all valuable research outputs offer numerous benefits both for society and for research and innovation. Country reports were provided from Bangladesh, Japan, Singapore, and South Korea. While each of these countries has a unique policy and infrastructure environment, it is clear that we all share common challenges around incentives for researchers to make their materials available and how we can address the clash between open access requirements versus the strong pressure researchers have to publish in “prestige” and high impact factor journals. The problems and inequalities within the current publishing system are widely acknowledged and felt more acutely by countries outside of the so-called western countries. Research data management is a hot topic and on the horizon for most Asian countries and participants learned about the evolving services at the national and institutional level in the different countries (Korean Institute of Science and Technology Information in South Korea, Tottori University Library in Japan and Nanyang Technical University in Singapore). Critical for successful adoption of open science is that organizations work across communities including policy makers, libraries, high speed network and researchers so that policies, services and incentives are aligned and supporting each other. There was a presentation about the recently published report by COAR outlining a vision and the technologies for the next generation repositories. The vision aims to position repositories as the foundation of scholarly communication on top of which we can build value added services, such as peer review, common usage statistics, and social networking. Despite the challenges involved in upgrading and maintaining robust repository infrastructure in many countries, this vision really resonated with the participants, as it will bring back some control of the escalating costs and better support local research priorities. The meeting had a special focus on the current state of open access and open science in Nepal. The participants learned about NepJOL, the Nepalese Online Journal Platform, as well as the Nepal Open Access Repository and the high speed network, Nepal Research and Education Network. There was also a presentation of a citation analysis of the current publishing output of Nepal that showed accelerated growth in publications between 2004-2013. Some of the major areas of research specialization in Nepal are child and maternal health, infectious diseases, agroforestry and wheat research. These specializations are important for the Nepalese population and directly relevant in many cases to the lives of the people of Nepal and it is clear that there should be widespread availability to the results of this research to the Nepalese population. 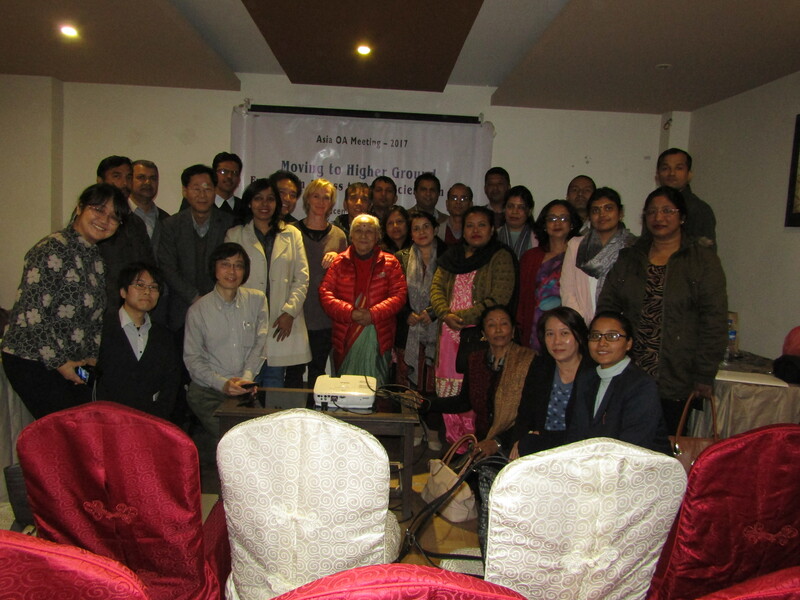 The meeting concluded with a workshop about the Nepalese national repository. The repository, which is hosted by NeLIC (Nepal Library and Information Consortium) was launched in 2016. The aim of the workshop was to discuss how the library community, and other stakeholders could work together to increase the number of deposits and raise the awareness of this repository with researchers and policy makers in Nepal. The workshop generated numerous ideas for moving forward, including working in a more coordinated way across the country to increase the visibility of the repository. The conference closed with a thanks to all the participants and an agreement that NeLIB and COAR would aim to have closer interaction and collaboration to help support the repository environment in Nepal as well as ensure that Nepal is aware and participating in international trends around repositories. I would like to express my appreciation to all the speakers and the participants for their active participation and engagement in this meeting. Additionally, I’d like to thank EIFL and Iryna Kuchma for their financial support for this meeting and the repository workshop; Kazu Yamaji and the National Institute of informatics for their significant contribution towards the organization and programing of the meeting; Jagadish Aryal and his colleagues from Social Science Baha for the local organization, and I.P.Adhikari and NeLIB for their great support and participation in the meeting and for ensuring it was a success.